I’ve been a fan of Tonkotsu for a while; this cheap and cheerful ramen joint (now with 7 spots in the UK) consistently delivers if you’re after a quick and delicious bite to eat. It’s easily the best chicken karaage I’ve come across too FYI. 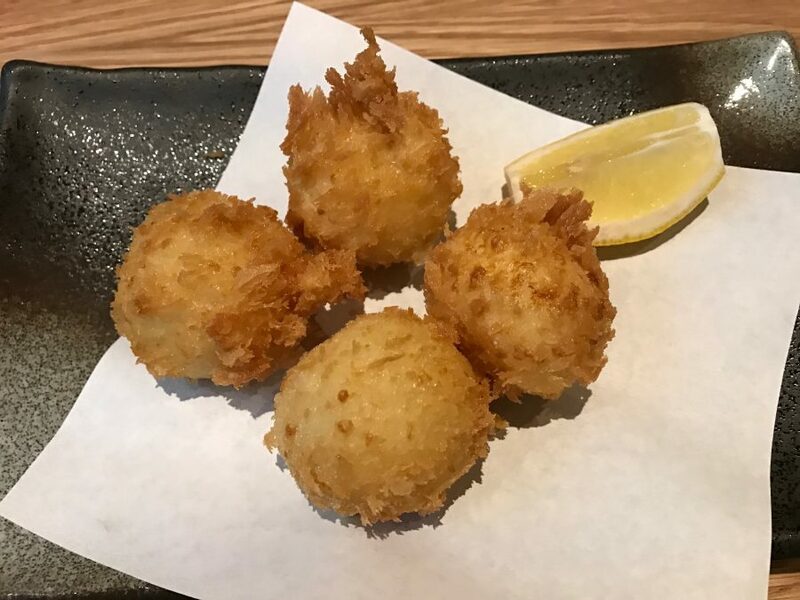 So, it was good news to hear owners Emma and Ken were opening a more grown up ‘Japanese brasserie’ in St James’s Market by the name of Anzu. We dash in from the torrential rain, through the curtained doorway arriving at a very tranquil dining room. It’s all wood and comfy chairs. Each table has a box filled with chopsticks which is a nice touch. I could have done with a real napkin though – but that’s just me. As the restaurant is newly opened, a 50% off reduced menu is in operation. 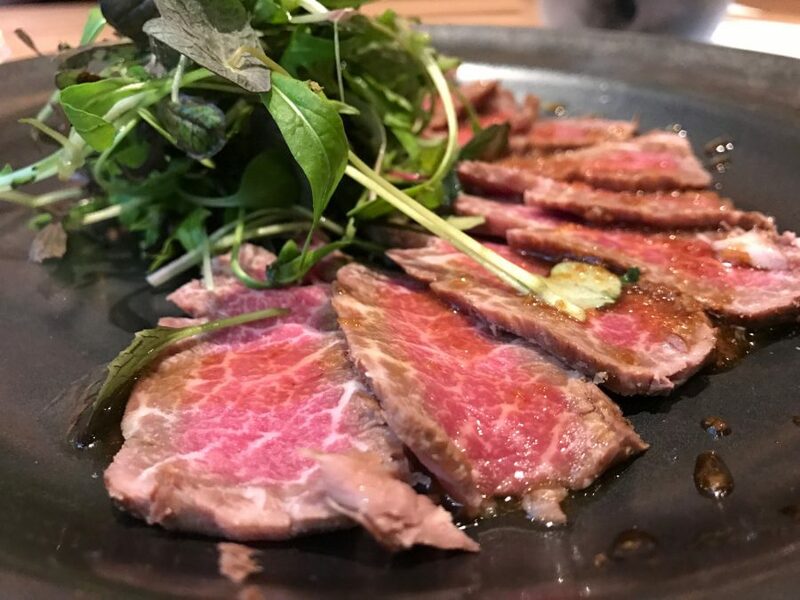 Wagyu fillet “tataki” carpaccio (£18) is the most expensive of the starters. Thin slices of the fatty beef are full of flavour – it’s all about the quality of the meat. 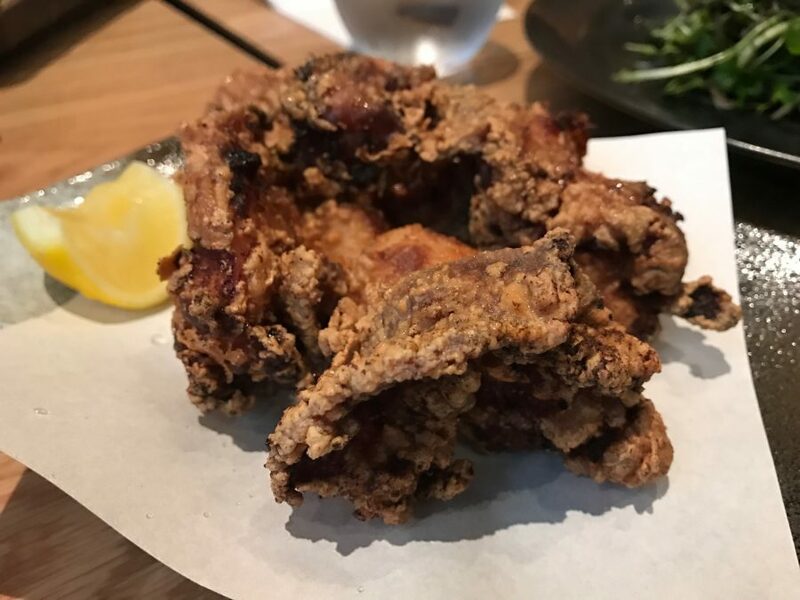 Chicken karaage (£7.50) is, as you might expect, the same Tonkotsu standard. If you like your fried chicken, this is a must order. Prawn korroke (£8), which are little deep fried potato cakes, aren’t short on prawn – each one has loads of the stuff in it. 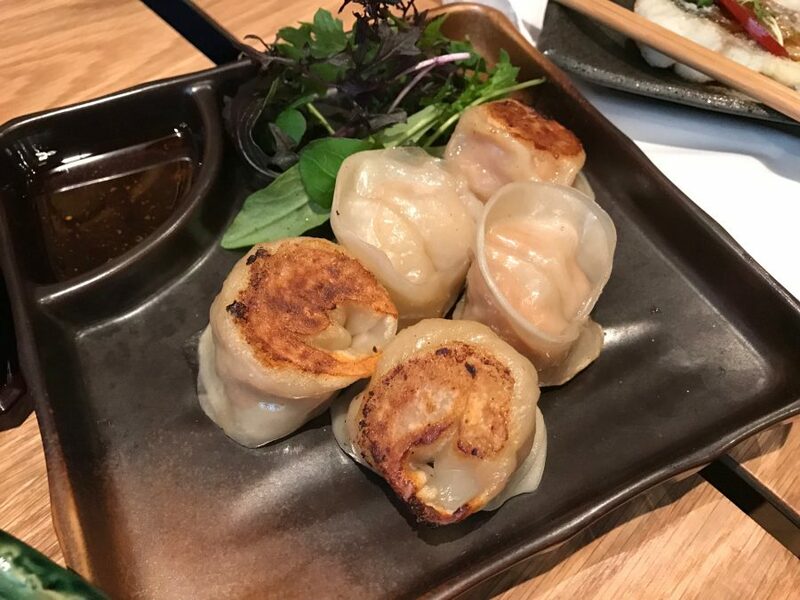 King crab and pork gyoza (£9.50) are equally generously filled. Crab and pork is one of those flavour combinations that just works. 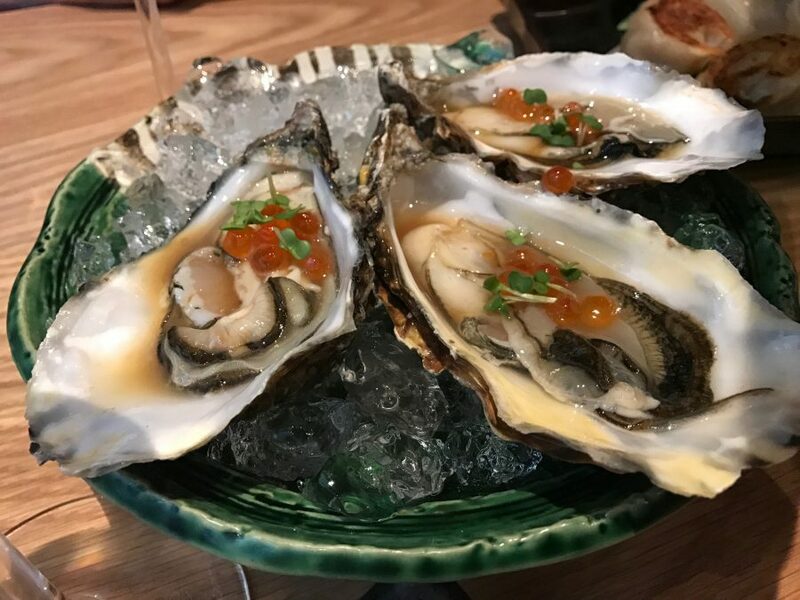 3 Irish oysters “Anzu way” (£9) are topped with fish roe giving them an even bigger seafood wallop. 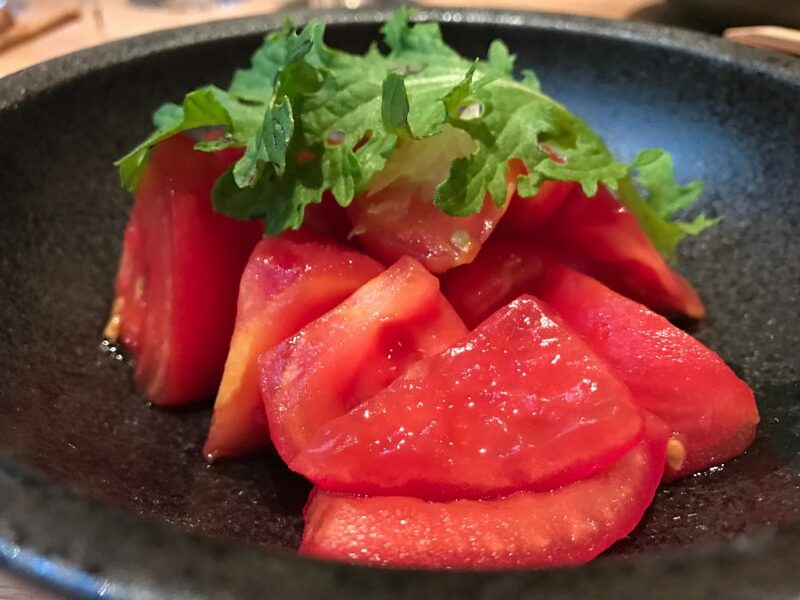 A simple tomato salad (£5) and a sesame-tastic spinach goma-ae (£5) are needed to cut through the richness of everything else. 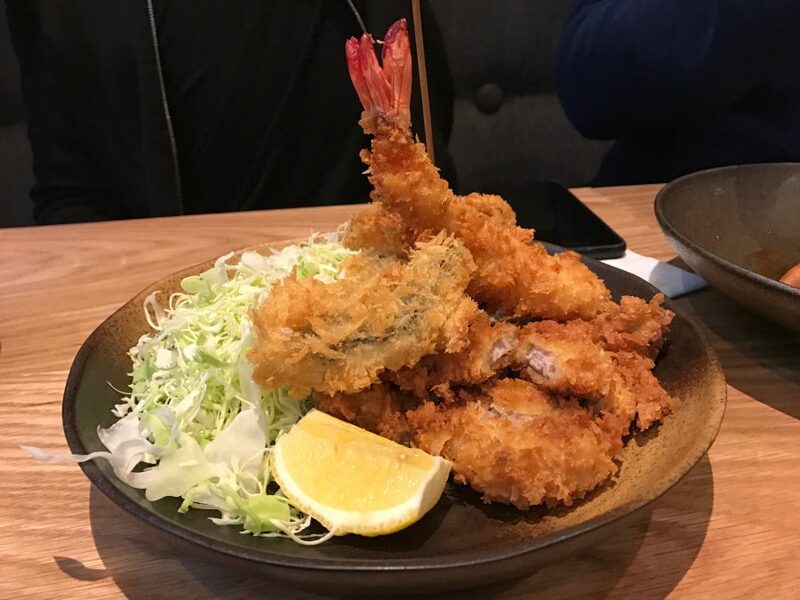 From the katsu section we go for the mixed offering (£22) which features pork shoulder, cod and Madagascan king prawn. It’s simple stuff but the quality of the ingredients does all the talking. And that crisp breadcrumbed coating is lush. 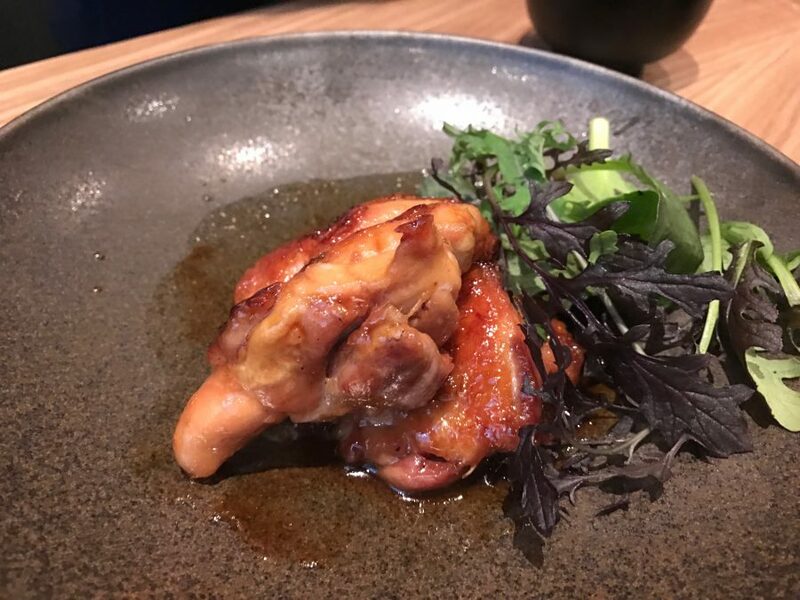 The best thing we eat: chicken teriyaki teishoku (£16). The sauce is sweet and the chunks of chicken so moist (isn’t that a horrible word?) – it’s the perfect rainy day dish. So, Anzu is in its early days but I’m expecting big things. Of the dishes we ate, there were no duds; these guys know how to make tasty food. St James’s Market is a new development and with the likes of Veneta and soon-to-open Aquavit next door, this is an exciting area to eat.